Best Fifa Football Awards 2017: Who picked who? 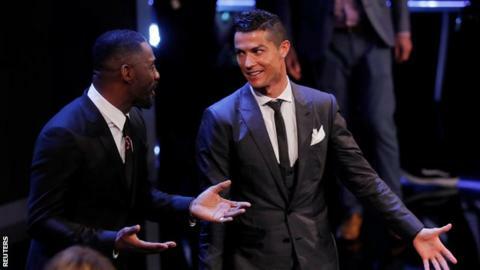 Cristiano Ronaldo once again was voted the world's best male player at the Best Fifa Football Awards on Monday. Barcelona's Lionel Messi was second and Paris St-Germain's Neymar took third spot. Ronaldo, 32, helped Real to a brilliant Champions League-La Liga double in 2016-17. The rundown of how the national team captains, coaches and media representatives voted was fascinating - try our quiz to see if you can guess who picked who and test your knowledge on the other facts and figures of this year's awards.